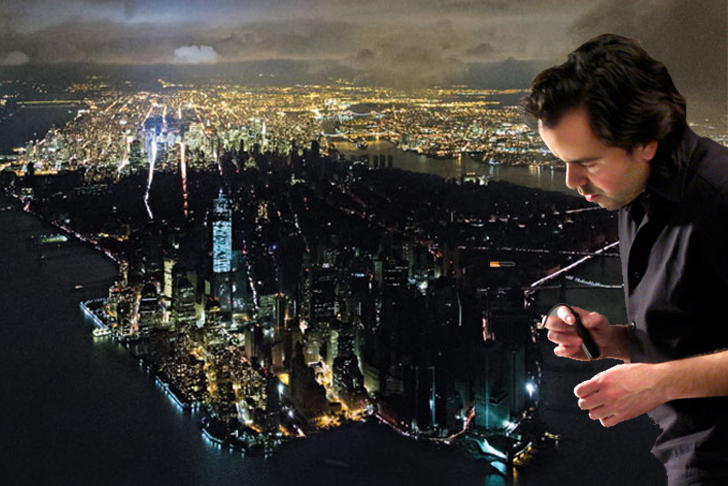 "I knew I wanted to capture these two cities – one, a vibrant and pulsating Manhattan that we recognize so vividly, and its antonym – a life-less city turned pitch-black and ominous," writes photographer Iwan Baan about the Hurricane Sandy aftermath photo that everyone has been talking about. 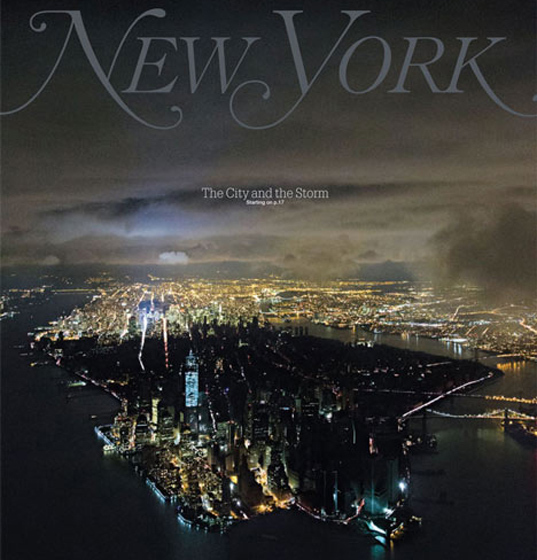 The almost unbelievable image appeared on the cover of the latest edition of New York Magazine with a small overlay reading "The City and the Storm" and captivated the nation with its unique vantage point of a half-dark city. As you can imagine, though, it was no easy feat to capture this once-in-a-lifetime (hopefully) shot. Read on to see what Mr. Baan wrote to us about what he had to go through to get this picture worth a million words. But in order to get to the helipad, he needed a car first and unfortunately, the rental company gave away the reservation he’d made in advance. A bit of finagling scored him a rental car all the way at JFK and after 4 hours of traffic, closed bridges and $2,000, he was sitting in the driver’s seat on his way to the heliport. The New York Magazine cover that everyone's been talking about.